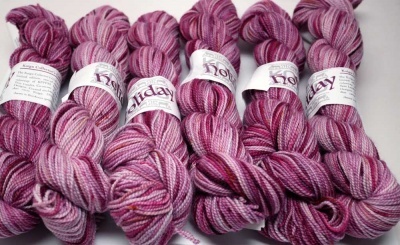 The second of our one of a kind dye lots from Koigu! 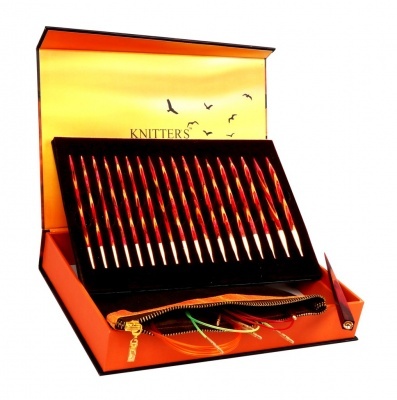 These are very specially dyed KPPPM (175 yards (160m)/ 50g of 100% merino). 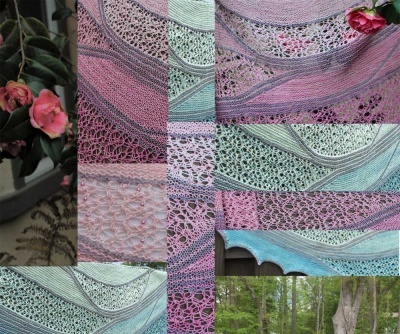 This is the second of their new Koigu Collector's Club, a monthly limited edition, one-of-a-kind themed colorway of KPPM hand dyed by Taiu Landra, co-owner of Koigu Wool Designs. We are one of only 24 shops worldwide to carry these colorways. 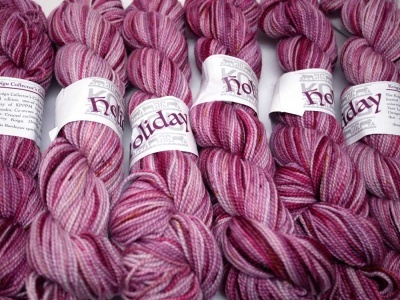 This one is called Holiday and is a beautiful tonal play, including a few speckles, on varying wines, pinks, magentas, and red-violets, the whole creating a deliciously luxurious velvetiness.